I was chosen to take part in an exciting #RoughVsSmooth beauty bloggers challenge arranged by ImmediatePR to create a look using a Schwarzkopf OSiS product. I was chosen to create a smooth look using the OSiS Refresh n' Shine. The product is a dry conditioner which softens and adds shine without clogging up the hair. It leaves the hair conditioned and looking healthy. I dislike products that really make your hair heavy and greasy. What I liked with this product was that it was very light and it did not feel like I had any product in my hair. My hair still felt really soft and versatile. 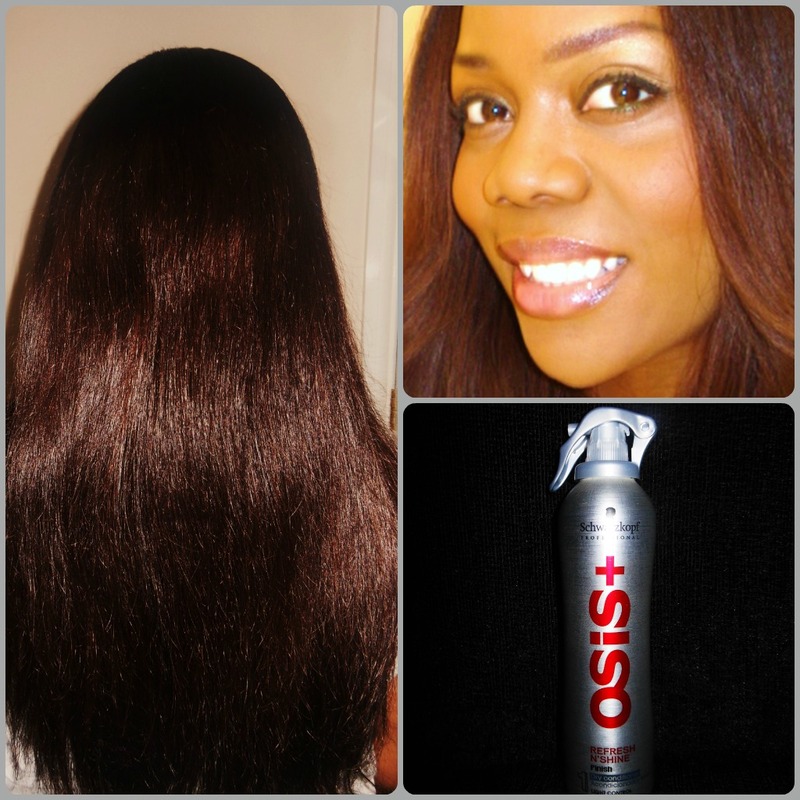 After using the product, the hair had a considerable amount of shine which was great. It really does make my hair look healthy. I didn't even use that many bursts (I think about 5 pumps). I used it in short burts and worked my fingers through my hair. So as I mentioned earlier, my task was to create a smooth look. I kept the look really simple. I think there is elegance in simplicity. You do not have to go over the top. I spent a while straightening my hair (previously tight curls) and added a flick away from my face on both sides and then applied the Refresh n' Shine conditioner to the finished look. I was happy with the results; smooth, soft and shiny. Can you see the shine? It also smells great too! What do you think? Have you ever used this product before? Hair looks so beautiful, never tried this! Wow your hair looks amazing! I should be looking into this product! My curls can definitely use some shine haha! And wow your hair is so long!! Prettayyy! You're gorgeous!! Don't be shy and show us your pretty face more often hihi!